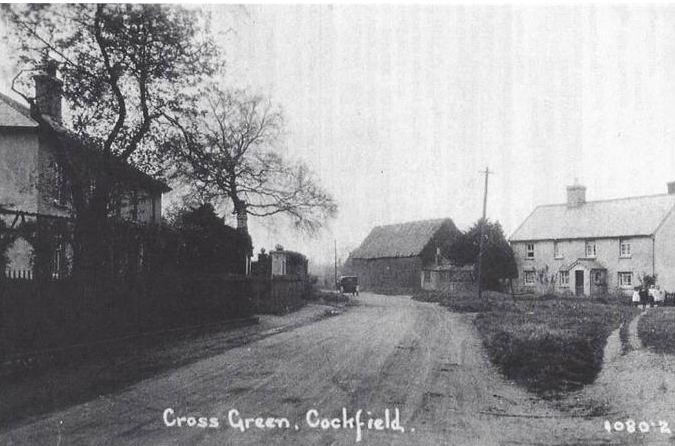 What was Cockfield like 20, 40, 100 years ago when the railway was still running and the airfield was in use; when lots of houses weren’t even built, or maybe some were that aren’t there now? 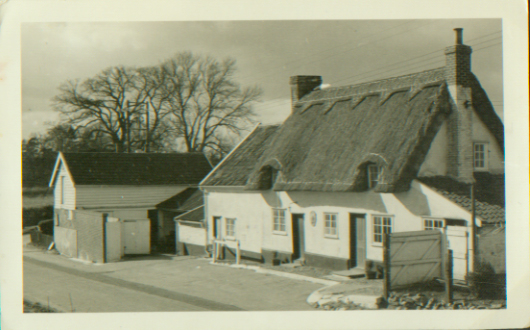 What did the roads, pubs, greens, your house look like then? 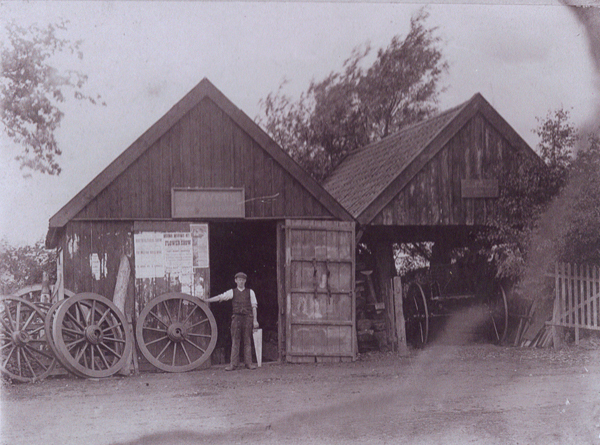 What shops, clubs, events were there? 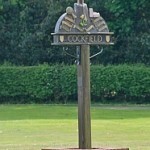 We want this page to build into a fascinating glimpse into Cockfield’s past by hosting a photo archive of anything connected to Cockfield that’s over 20 years old. Do you have any photos you would like to share? If so we would love to include them. We will just scan them and return them straight back to you. Any information you have to illustrate the photo would be very helpful, especially when it was taken; but submit it even if you have no other information – someone might see it and be able to fill in the missing bits. Please ensure that any photos submitted are not subject to a restrictive copyright, and that you have secured any necessary permission for them to be published on the website. 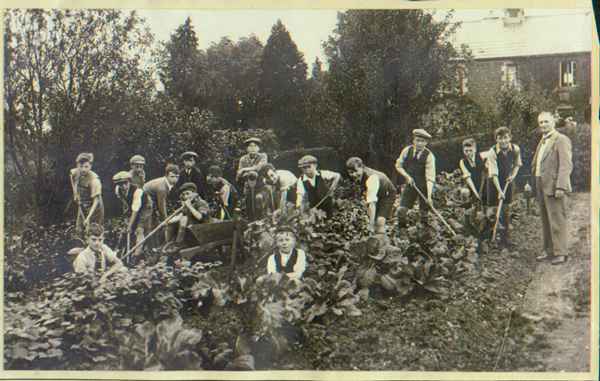 The above picture is believed to date from about 1920, but if anyone can identify the date more accurately, please let us know. 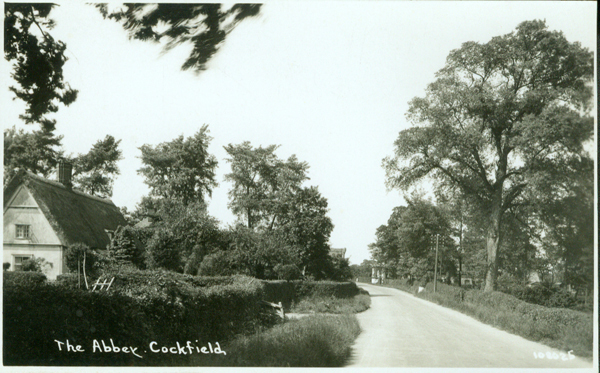 This postcard of a tree shows St Peter’s church in the background. The tree is no longer there. The stamp on the card is an Edward VII red 1 penny, which dates the card between 1902 and 1910. 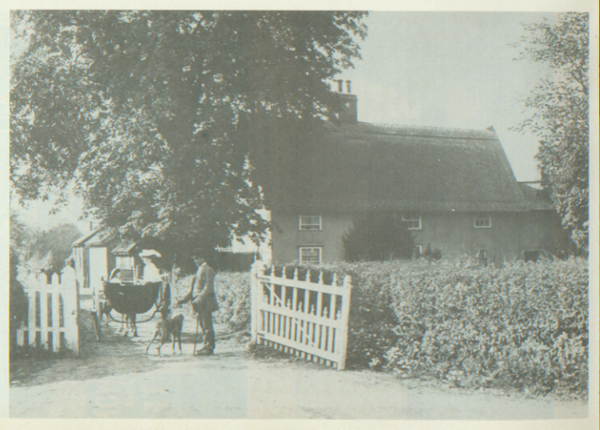 Below is the Six Bells pub, which closed in the mid 60’s and is now a private residence. Edwin Hill was Rector of Cockfield from 1889 – 1929. 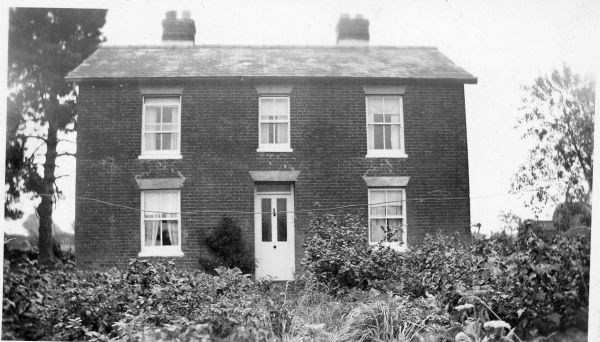 Edwin’s niece, Madge Branford, ran the household and played the part of the Rector’s wife in running the WI and other groups. 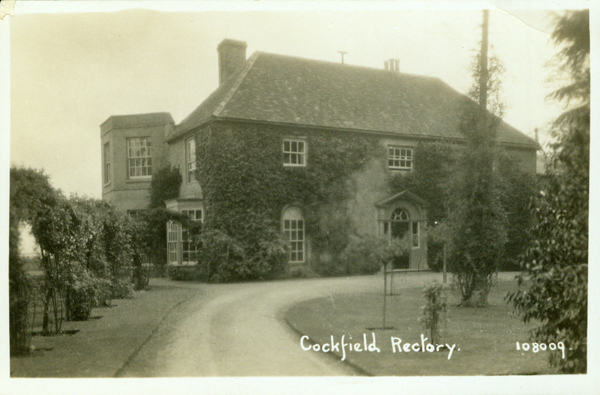 Most of the Hills and Branfords were abroad and Cockfield Rectory provided a base for visits back home. 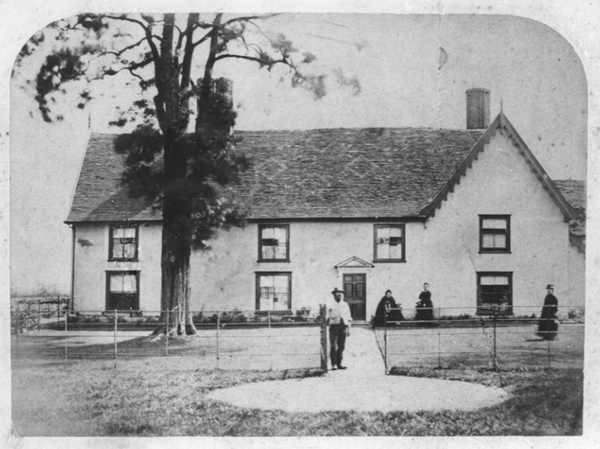 This picture shows “Cockfield servants” at the Rectory, (so described by Rev. 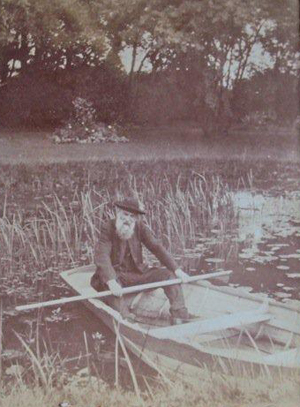 Hill in his album) at about the end of the 19th century. 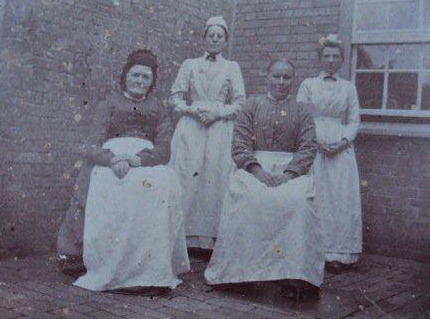 Mary Dawkins, formerly of Chelmondiston and Bird Hall; Bertha Granger, formerly of the household of Ranjeet Singh’s son; Mrs Snell; Louisa. 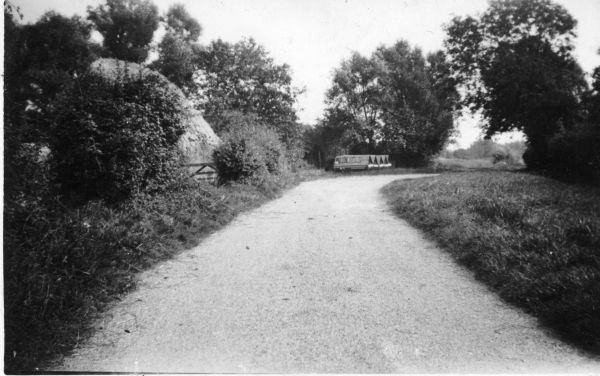 This picture was taken in 1971, and shows part of Chapel Road. 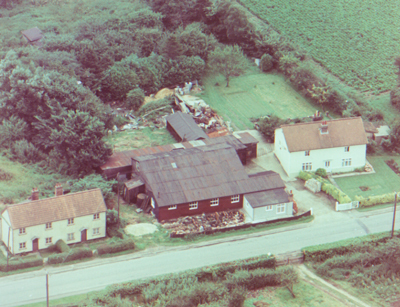 Two detached houses replaced the builder’s yard shown in the centre of the photo. 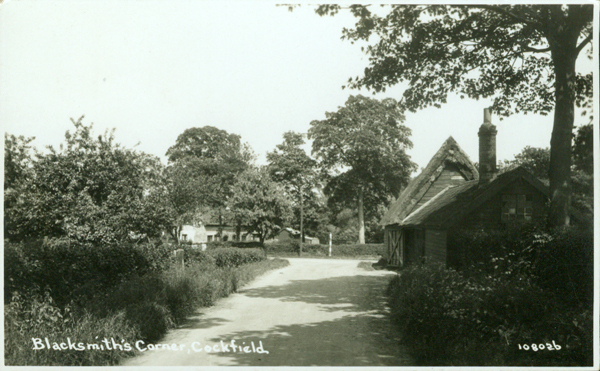 The picture below is on a postcard, posted in Cockfield in 1915. 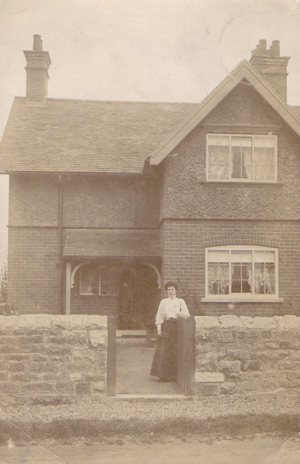 Do you recognise this house – is it in Cockfield? Any information gratefully received. 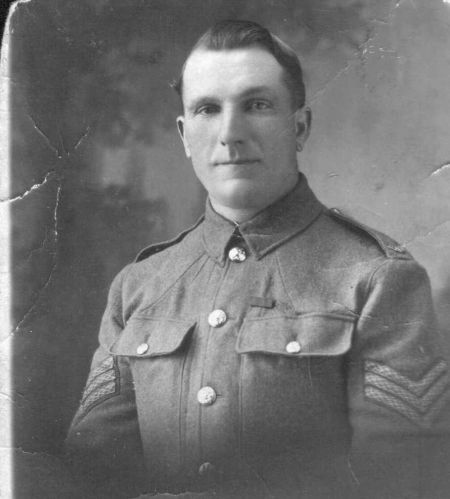 Herbert Game was born in Cockfield and was killed in the First World War during the Battle of the Somme in October 1916. Another member of the Game family was also killed during the war, and is one of the names on the Cockfield War Memorial. 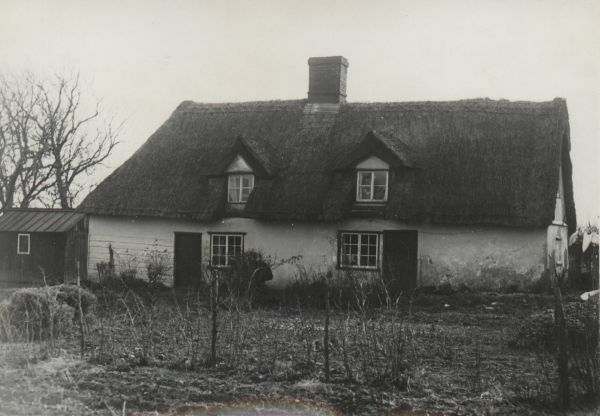 The family have traced their ancestry back through ten generations, all of whom lived in or around Cockfield, to a Robert Game, born around 1590. 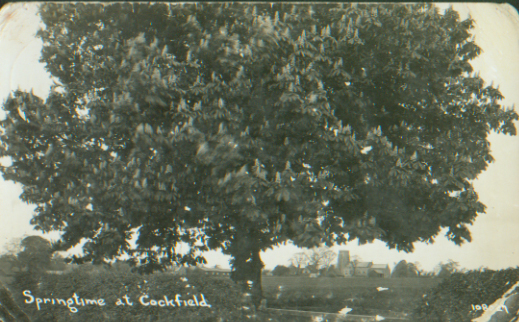 This photo of Clipt Bushes, Smithwood Green, taken in 1877 is the oldest known photo taken in Cockfield – unless you know different!